The incovo team are passionate about technological innovations, that’s why we invest considerable time researching the latest advances in the telecommunications and printing industries so we can offer our customers the most up-to-the-minute solutions. But it’s not just phone systems and MFDs that get us fired up, every member shares an avid interest in gadgets, gismos and inspirational inventions. So we’ve compiled a blog featuring some of the most ground-breaking ideas, people and products around. And because technology is advancing at a faster pace than ever before, you can expect these technology blog updates on a regular basis. First up, we’re turning the spotlight on Elon Musk – the engineering entrepreneur renowned for investing in revolutionary technological innovations. Thanks to Elon, things that just a few decades ago would have sounded like they were straight out of a sci-fi movie are now very much a reality. Take Tesla for example – not just responsible for bringing sustainable energy cars to the mass market, but for taking things to the next level by developing self-driving cars. Then there’s SpaceX which specialises in designing, manufacturing and launching advanced rockets and spacecraft. They’re currently working on the next generation of fully reusable launch vehicles which they claim will be the most powerful ever built, capable of carrying humans to Mars and other destinations in the solar system. Another string to Elon’s bow is The Boring Company (which is much more exciting than it sounds! ), an infrastructure and tunnel construction company founded as a response to the traffic congestion problems in Los Angeles. And of course there’s SolarCity which manufactures and installs solar energy panels on residential and commercial properties, enabling more and more people to turn to renewable energy in a bid to save the planet. It’s Elon Musk’s out-of-the-box thinking and relentless desire to push technology forward that appeals to the incovo team, and we strive to ‘be a little more Musk’ in our approach. We may not be building space rockets, but every member of incovo is dedicated to seeking out the best technology and creating effective solutions that revolutionise the way businesses operate. And so with that in mind, here are incovo’s top five technological developments from the world of telecommunications and digital imaging we think we should all be looking out for over the coming months. The workplace is changing as more and more people opt to work remotely. The classic Monday to Friday, 9 to 5 office hours are becoming less popular as employees look for greater flexibility, whether it’s to work around childcare, or to attain a better work / life balance. In response, we’re seeing more organisations embrace workforce mobility and BYOD (Bring Your Own Device), which enables staff to work from home or on the go. If this is something you’d like to find out more about, speak to the incovo team about making the most of collaborative technologies such as Equinox, mobile twinning, and voicemail to email forwarding, which could make all the difference to the way you work. The switch from ISDN to IP technology is on its way – BT has announced it will cease ISDN (Integrated Services Digital Network) by 2025 and stop selling it by 2022, and Vodafone is in fact fully decommissioning the ISDN circuits in just a few months. So if you haven’t already, now is the time to consider moving to SIP. Want to know how to make the switch as seamless as possible? Take a look at the options incovo offers HERE. Great news for those looking to save space in the workplace – IP Office phone system can now be hosted in the Cloud, so there’s no need for extra hardware in your office, meaning you can free up essential desk space. Plus you can spread the cost by paying monthly, just call 0345 450 8400 to speak to an incovo expert about getting started. When it comes to contact centres, we reckon the Avaya Contact Centre Select is the way forward. This brand new application enables contact centres to improve their customer experience, and we all know that happy customers are loyal customers! To find out how it could potentially benefit your business, email incovo now at [email protected] and they’ll talk you through the finer details. Look out for the latest updates from the likes of DocuSign – a widely compatible and accessible digital transaction management platform that offers advanced reporting features like PKI (Public Key Infrastructure) to keep your online signature secure. 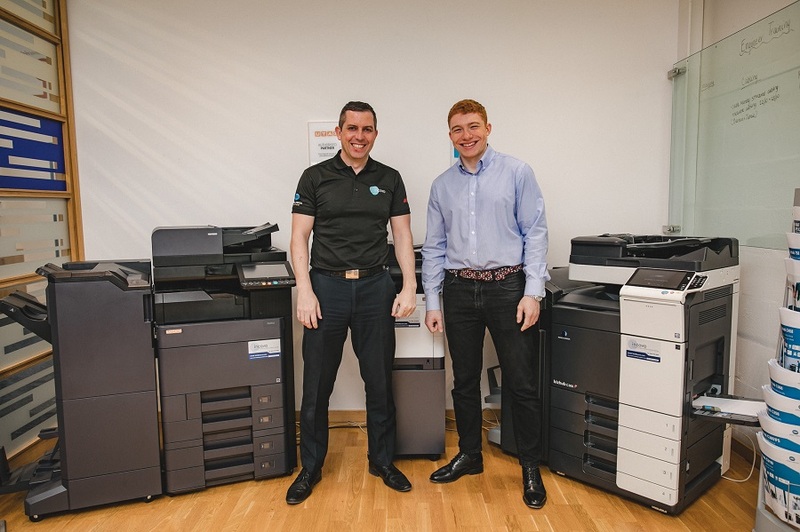 PaperCut is also one to watch – they provide simple and affordable print management software which makes it easier to manage your printing devices and users. Arrange a meeting with the incovo imaging engineers to find out more about utilising your MFD to its full potential. Has your business benefited from one of these innovations? If so, we’d love to hear from you. Tweet us at @incovo and let us know what impact you think it’s had – we love to talk technology!